What’s Hot in Your Life? Like to take on fun surveys? This one is for you! We will ask you about your thoughts on Uber, Airbnb, Space Travel, Cannabis legalization, Bitcoins, Virtual Reality, and more! It’s pretty quick, 2-3 minutes, and the anonymous results will be published soon! Feel free to share it with your friends! 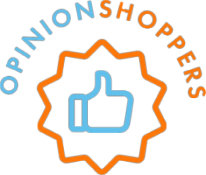 If you are not yet a member of the Opinion Shoppers, join us now to share your opinions and win great rewards and cash!